Cordaid’s Remco van der Veen reflects upon US, EU and Dutch migration policies, links Angela Merkel’s position to the outcome of the World Cup and reminds us that, as the peat fire of the migration debate continues, Cordaid and other agencies continue to reach out to refugees and IDPs. Because we have to. 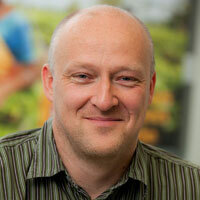 This blog is written by Remco van der Veen, Cordaid’s Director International Offices. The migration debate is like a peat fire. Sometimes it smothers and even seems to go underground. Sometimes it burns like hell. Today, the heat is on. Crying kids in closed cages, separated from their parents. Cages similar to the ones in Guantanamo Bay, this time not to scare terrorists but to scare off parents from crossing the border. Preventing the not so United States from becoming like Europe is reason enough for Trump to get into a public fight with his wife. Mark Rutte, our Dutch Prime Minister, is said to be still single. He doesn’t need to worry about a partner or wife who disagrees with him in public. Yet, he is very worried about recent US migration policies. He proudly states he will have a tough talk with Trump, telling him that separating kids from their parents is not good. Why was he less outspoken when a few days earlier 600 people including small children and pregnant wives were drifting in European waters, caged in a boat, going from country to country looking for a safe place to stay? Meanwhile Cordaid and many other agencies do whatever they can to reach out to refugees and displaced families around the globe. Once again, fear paralysed Europe. Fear prevents its member states to align and stick to the moral standard of solidarity that once founded Europe. Not so very long ago. But it seems we might have part of the solution to stop the peat fire. The Dutch development sector now has its own new compass. A few weeks ago Sigrid Kaag, Dutch Minister for Foreign Trade and Development Cooperation, presented her policy note. It is called “Investing in global prospects. Good for the world, Good for the Netherlands”. Since when is the Netherlands not part of the World and needs to be specified? I got lost in translation between the English and Dutch version. The Dutch version of the policy is addressing the ‘ground causes’ and the English version is addressing ‘root causes’ of ‘irregular migration’. It leaves me puzzled. What needs to be addressed when we want to tackle irregular migration? The ground or the roots? Now that I am being moralistic, I can only say that my moral support goes out to all those in Dutch embassies who are now writing their Multi annual Strategic Plans based on Kaag’s policy note. A number of good choices have been made by Minister Kaag. The re-acknowledgement of the importance of education. Her continued focus on gender, on sexual and reproductive rights and on psycho-social support. The shift to focus more on fragility, for example in Iraq. We welcome this warmly. But will this stop the so-called fortune ferries and the dinghy boats of ‘irregular migrants’ from crossing in the Mediterranean? I doubt it. That takes an enormous increase of European investments in aid and cooperation. Lets start in the Netherlands. We still are far from the old OECD target of 0.7% of our GNI going to development aid. What if we need 2.0 or 5.0% to make it work? Are we willing to pay? Trends now are a decrease of engagement of the EU, partly linked to the Brexit. Yet we still want a front row seat for a nickel and a dime (as we say in Dutch). The next victim of the debate on migration is likely to be Angela Merkel. She is fighting hawks within her own party, while at the same time fighting the Austrians and Italians. Unexpected help might come from our own Mark Rutte, who is emptying his agenda for two weeks to help her find a European solution. But then again, Dutch policies allow the locking up of asylum seeker’s children. So I am not sure he is the right man to help her find a sound European solution. I am not a big fan of the German football team. But this time I sincerely hope they will win the World Cup. Give people bread and play and the they will not revolt. My prediction is that without the World Cup going to Germany, Angela will fail to survive politically. And Europe will lose one of its last true compasses.